Here are some ways Laurentian is enhancing its facilities, faculties and overall student experiences. Our students thrive in an environment that supports their academic success. On campus, student amenities are often conveniently located a short walk from one another. Creating an inclusive environment for all members of the Laurentian community, regardless of identity. 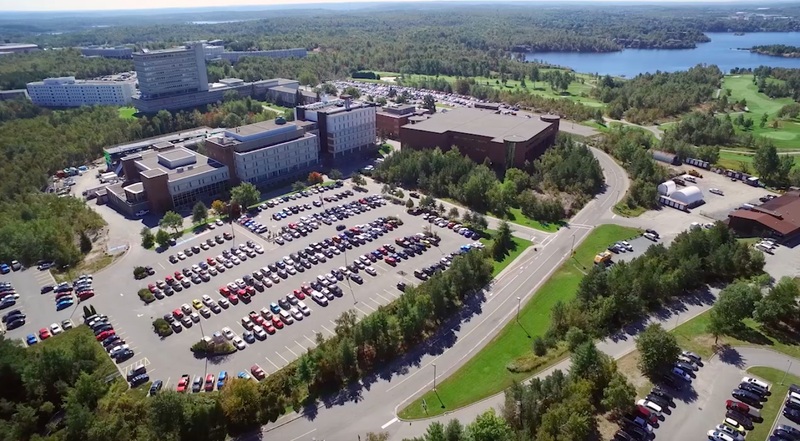 Thanks to recent investments in campus modernization, Laurentian now boasts more state-of-the-art classroom and lab facilities and a variety of welcoming and modern student residence spaces. Our vast student support network is expertly trained and at the ready, providing assistance, direction or a much needed listening ear. Laurentian is a recognized leader in its specialized areas of research strength, which include mining innovation and exploration, stressed watershed systems, particle astrophysics and rural and northern children’s health. Find your home away from home at the heart of a beautiful city and a magnificent campus. As the Northern Ontario hub for health, education, government, mining and retail, the City of Greater Sudbury offers the unique advantages of a metropolitan area while remaining a truly tight-knit community. Combined with its enviable natural setting of freshwater lakes and boreal forests, it offers outstanding quality of life. The Equity, Diversity and Human Rights Office (EDHRO) is a resource for all members of the Laurentian University community, including students, staff, and faculty. We assist with matters of discrimination, harassment, sexual harassment, sexual violence and bullying. We do not advocate for either party in a dispute, but take an impartial and objective approach towards resolving matters between parties. Friendships and communities form quickly at Laurentian. What better way to make that happen from day one but to join one of the student-led clubs and organizations! Over and above the traditional clubs and associations, it is easy to start one of your own. All you need are like-minded students who share a common interest.